Our CM300 is a 1 mil polyester with 2 mil mustard colored rubber resin adhesive. The tape offers high temperature resistance needed in the conformal coating process and removes cleanly. 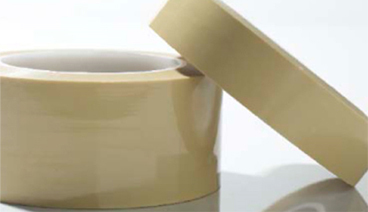 The tape is silicone free, therefore leaving no silicone shadow.